It’s a community that welcomes like-minded cyclists from all around the globe — no matter what level your riding talents, no matter what your cycling goals, we are all here to encourage each other and achieve the same thing: Just keep pedalling. We (directors Rosa Coy & George Yiontis) met in Paris in the early 1990s. Rosa was working for Renzo Piano Building Workshop and George a lead designer for Brunier Saunier Architects. The formative years of our careers were focused on very large-scale projects. We returned to Melbourne in 1996 to establish Coy Yiontis Architects. In 22 years of practice back in Australia, we have worked across a broad range of projects including boutique retail stores, commercial fit-outs, supermarkets, multi-residential developments and over 200 private homes. We are currently a solid team of 6 architects and 2 admin/communications. We pride ourselves on facilitating the delivery of outstanding architecture and interiors, regardless of the scale. Yes, we are. Some of us super passionate, some of us not as committed as we once were, others keen daily commuters. Our bikes range from the latest carbon fibre race machines to electric assisted cruisers. How do you think a space like the one you have designed functions in a cycling community? 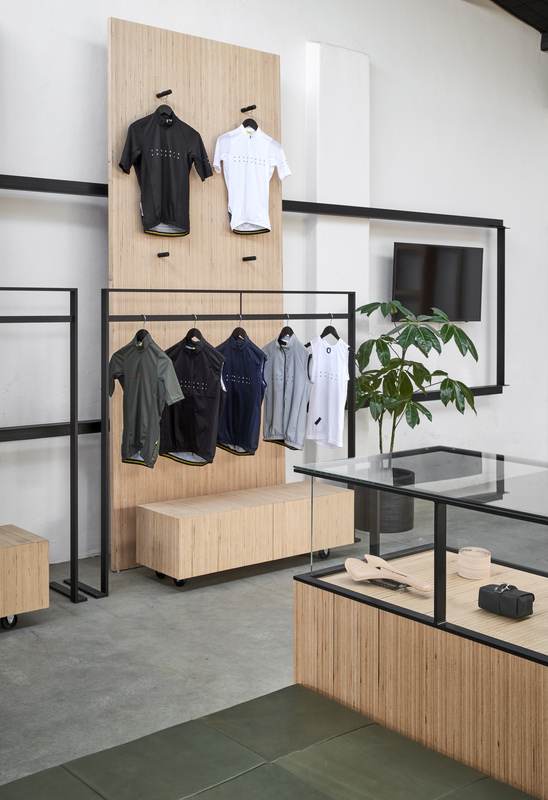 The Pedla space was designed to be multifunctional, to adapt rapidly from a retail space to an events space, to a club house, to a spin class gym. 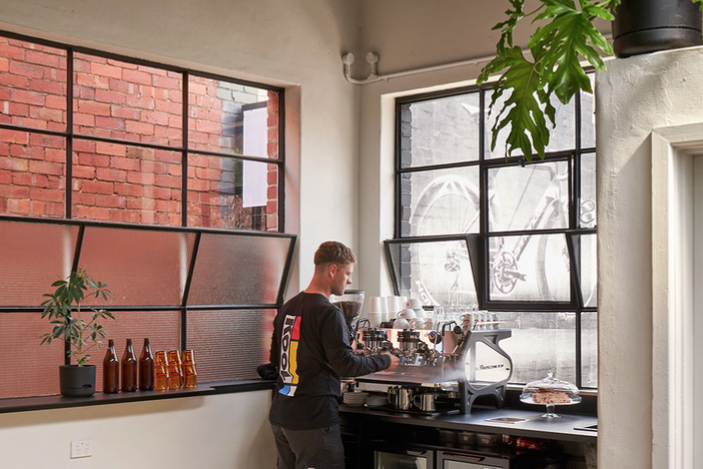 Its intent is to be accessible and open, a place you might drop in post ride with your bunch, or walk in for a coffee or simply shop for some great gear. What were the most important aspects, both functional and aesthetic, to achieve with the Pedla space? Once the basic space was mapped into its zones-the balance of back of house, front of house, entry and café determined- each area became a discreet design exercise within an overarching design theme. That core theme was simplicity and flexibility. To this end almost the entire fit-out is moveable, either on wheels or propped from the continuous steel wall armature or simply freestanding. 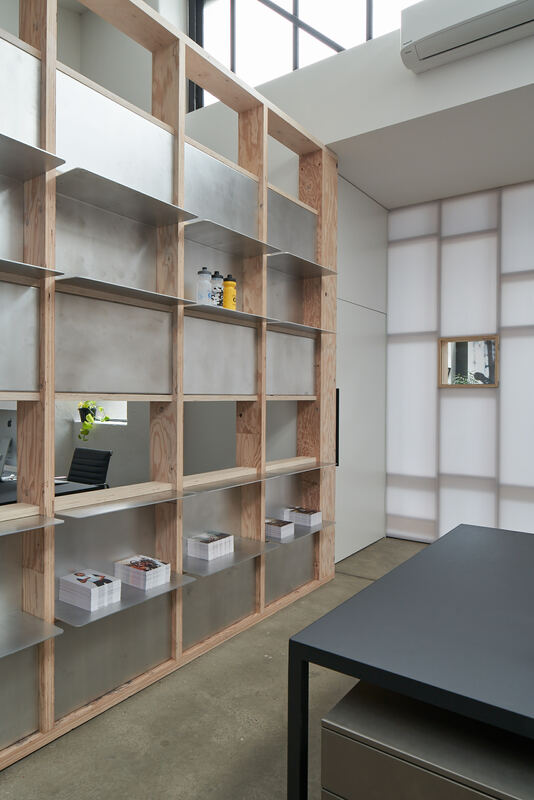 The studio office area behind the translucent screen with its massive pinboard and bespoke furniture had to accommodate stockroom, design studio and administrative office within a compact open plan arrangement. 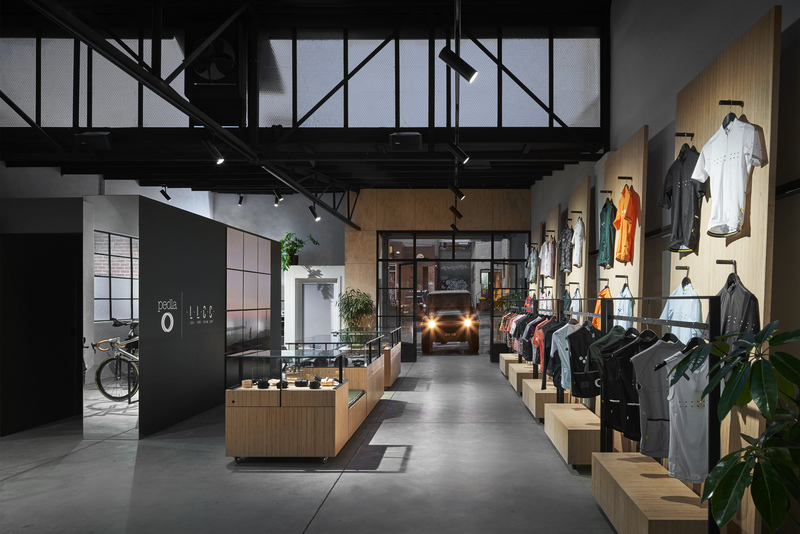 Front of house had to function as showroom and meeting space for the wholesale business, retail store and café to the public, spin gym and clubhouse for the cycling groups associated with the company, and all within a unified space. 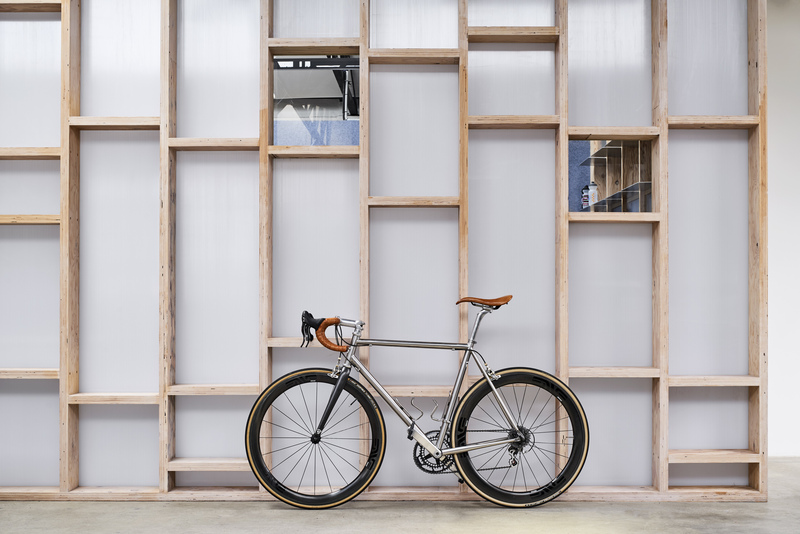 The aesthetic, in part inspired by the existing industrial building in part the craft/tech of cycling, evolved via some early practical choices of materials. 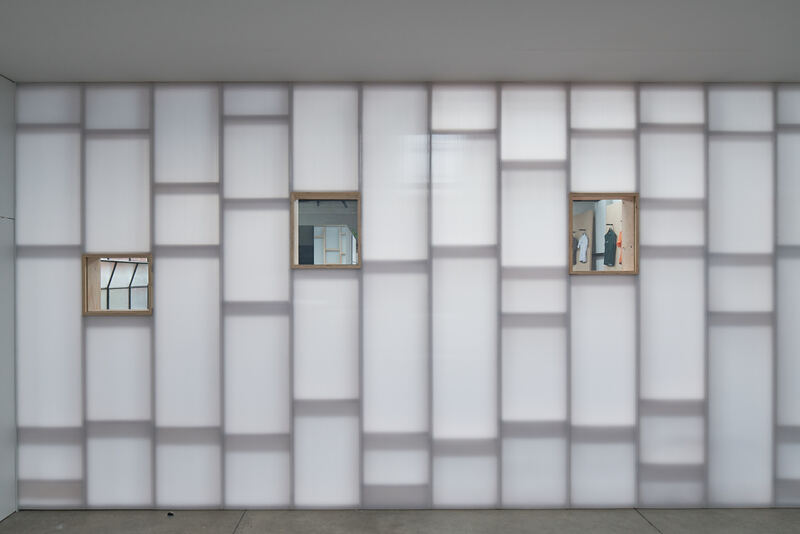 For example, the LVL timber used for the translucent partition, with it’s stratified edge lead to the use of the edge grain ply on all the joinery. 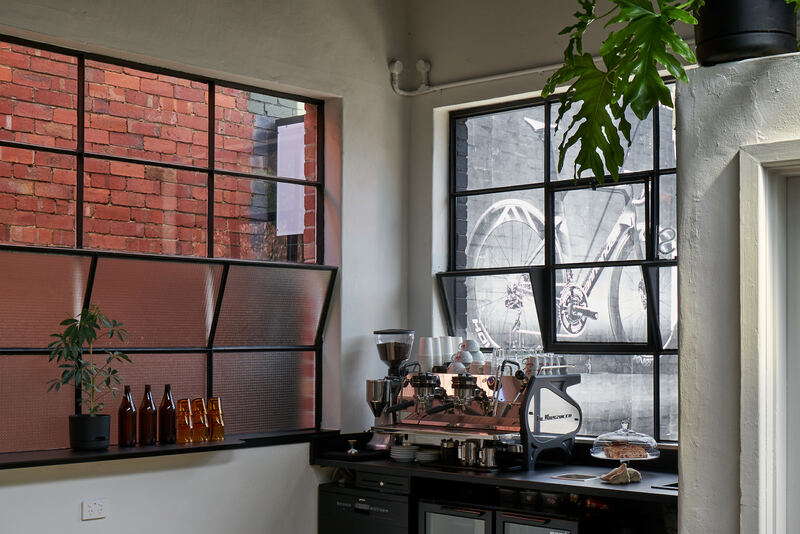 The industrial steel framed entry takes its cue from the existing steel windows and roof trusses as do the shop fittings, vitrines and desks. The palette and forms were intentionally simple but detailed and crafted. This allows the Pedla product, colourful and graphic, to jump to the foreground. All the elements are brought into focus by simply blacking out the ceiling, as in a theatre. Does cycling influence the way you see architecture? In terms of experiencing architecture in its setting - cycling, like walking, allows you to ‘read’ your built environment at a pace that renders it understandable, you absorb it at a comfortable speed, you see the detail, notice the unnoticed, something that isn’t really possible when you’re driving. The craft, tradition and technology of bikes themselves is also fascinating, that attention to detail and precision of componentry, of technologically advanced materials and efficient forms, has its crossover in our interests and pursuits in architecture and building. What are your favourite elements within the space? 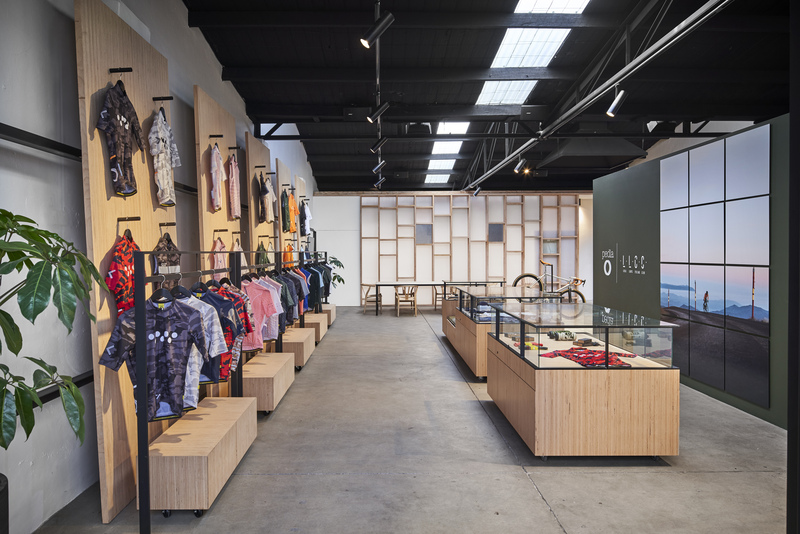 The translucent wall between the studio and the retail space is one, with its tightly composed timber framework and milky polycarbonate panelling. Lit from behind in the evening it can be quite dramatic. The modular vitrines on wheels are another. They can be moved around and reconfigured or rolled away completely as necessary and there’s some lovely detailing in their construction which is not immediately evident. In terms of experiencing architecture in its setting - cycling, like walking, allows you to ‘read’ your built environment at a pace that renders it understandable, you absorb it at a comfortable speed, you see the detail, notice the unnoticed, something that isn’t really possible when you’re driving. How did you come to be behind the coffee machine? My grandparents owned a cafe / delicatessen for 22 years and put me to work from a young age on the floor. The social side of hospitality is incredible and the networking possibilities are great. I fell in love with being part of local business communities and building relationships with people from all walks of life. If you spend enough time around cafe’s you just eventually end up behind a machine whether you like it or not, I embraced it. Tell us a bit about toms. 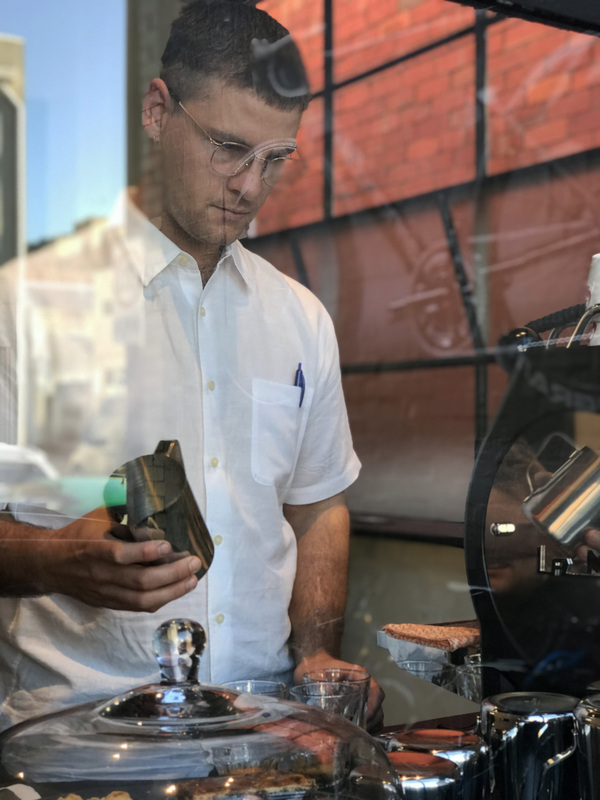 I’m liking Genovese’ filter roasts at the moment so I’m drinking heaps of batch brew, I’m pouring their Columbian la Esperanza Gesha varietal and its delish. Whose coffee do you use? What does it mean to be in Pedla? Love coffee, I love cycling and I love the Collingwood community. It is so nice to be here in this space with the Pedla crew. A dream bike would be probably be a neo retro Italian steel roadie with clearance for 28’s. My 2004 Casati Dardo is pretty much my dream bike though. I’ve been told my long blacks are a force to be reckoned with, which is very humbling knowing I’m drawing the right flavours from Genovese’s Super Brazil blend. But I’m super proud of my product so I’d say everything on offer. Opening day on Pedla’s last pop up sale. So many friendly faces, so many familiar faces - heaps of support. Very memorable. Who is the Spin Room? 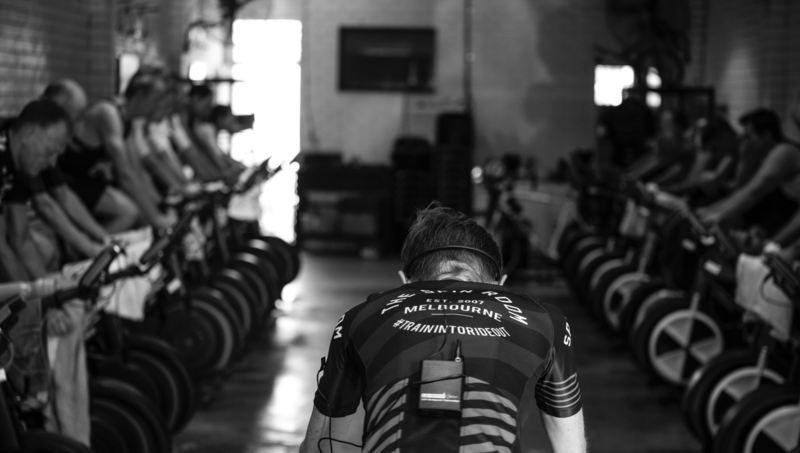 We are Melbourne's first indoor Wattbike training studio. as it suggests we Train In to Ride Out- what you do indoors on the Wattbike will directly improve what you outside, whatever the surface. 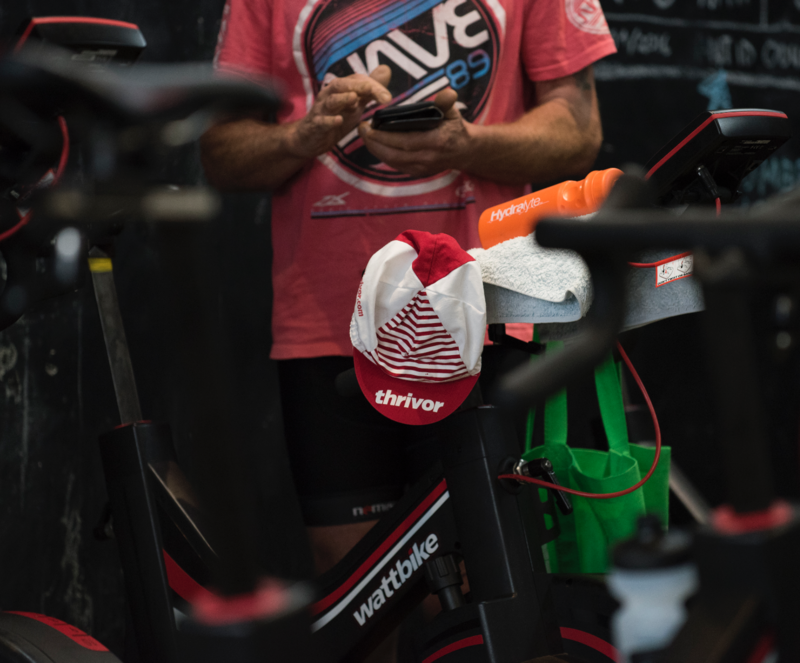 We were the first specific indoor cycling studio to have Wattbikes, even before all the AFL clubs! 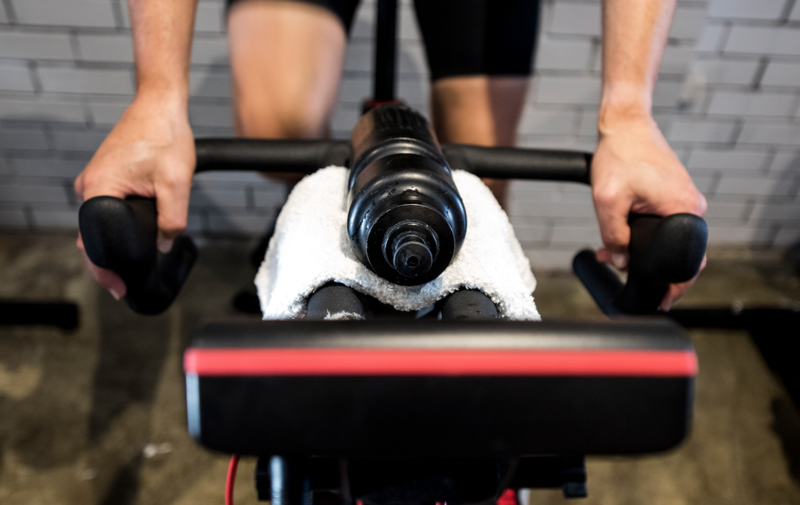 The concept came from spin classes at gyms into a specific cycling focus by some passionate cyclists, utilising power and watts per kilogram training. We now incorporate this training into increasing ones rpm, strength, pedal technique and working efforts building FTP. 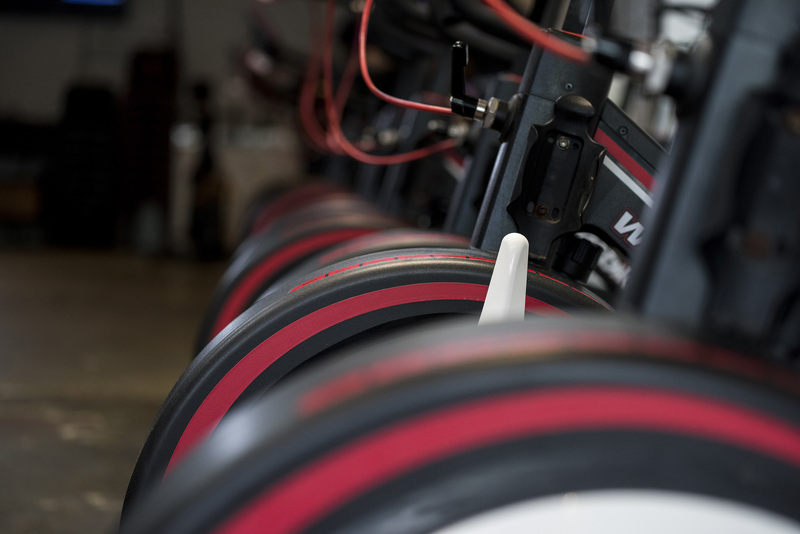 What inspires your customers / riders the most about Spin Room? Especially to attend those early morning sessions? 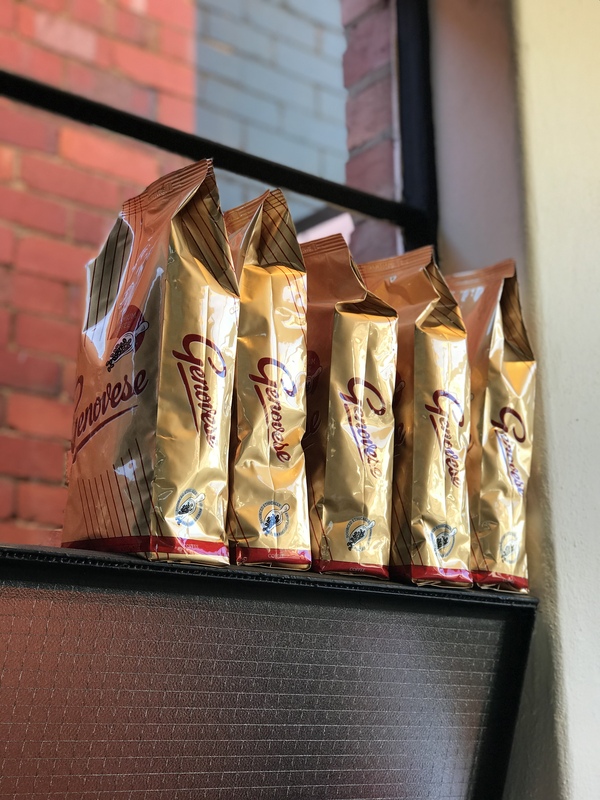 It might be the espresso we have on offer for everyone that walks in... It's definitely the efficiency of training. Everyone is busy, we provide that decent ride/workout so when it comes to the weekend ride you can still chase down or leave your buddies behind. Lastly, its our community. 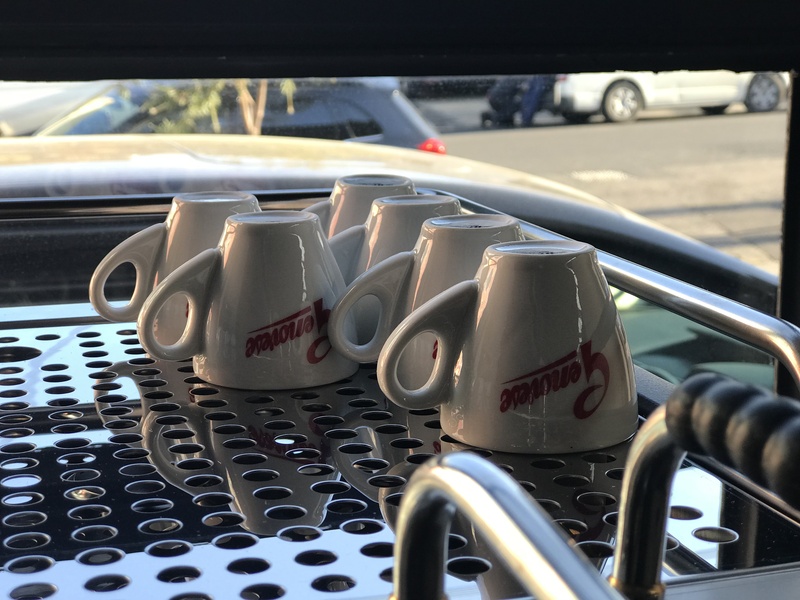 Our riders notice when someone hasn't been in for awhile and there's always a lot of chat over that espresso.